Hawaii Wedding Photographer Bob Brown on what can make for great wedding photographs. Couples invest a lot of time and money in choosing the wedding photographer that has a style that they like, a personality that matches their own, and at the right budget point. All of those things are very important to getting great wedding photos, but what else can a couple do ? 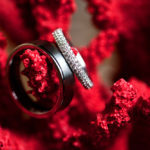 I think one of the most important things a couple can do for great wedding photographs is to do an engagement setting with a professional photographer. A couple can learn a lot about what they like and don’t like during the engagement shoot and make adjustments for their wedding. As well, going through the process of a professional shoot can relax the couple for the portrait session on their own wedding day. 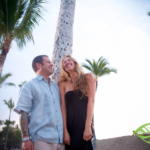 This couple is getting married back home and did an engagement session while on vacation here in Kona. So whether you use the same photographer or a different photographer an engagement session can not only be a lot of fun and provide photos for your reception or save the date cards but also can help prepare you for great wedding photographs.